Ahead of Vice President M Venkaiah Naidu's scheduled visit to Sharda University here, the Gautam Buddh Nagar administration Saturday asked the varsity authorities to explain how "anti-social" elements, who are suspected of triggering violence between Indian and Afghan students, enter its campus. The vice president is expected to participate in the Greater Noida-based university's annual convocation on October 28 here. On Thursday night, the police lodged a case at the Knowledge Park police station and booked over350 students from both the Indian and Afghan side for rioting and related offences. On Friday, district magistrate Brajesh Narain Singh directed the police to file a new FIR against "outsiders" who were purportedly seen in the videos "escalating the minor scuffle into a communal issue". The magistrate also said he would detain one Deepak Sharma of Rashtriya Swabhiman Dal under the National Security Act for "disrupting public order" with his "inflammatory video and remarks". In a letter to the varsity's vice-chancellor Saturday, the district administration recalled a similar incident last year involving students from Africa and sought to know what measures the institute had taken since then regarding safety and peace on campus and on prohibition of entry of outsiders. "Incidents of violence in the campus involving Afghan and local students including Kashmiris have been reported. It has become clear that anti-social elements from outside entered the university campus and provoked local students against the foreign students. The police have initiated legal action. "It is also pertinent to mention (a) similar incident last year in the university that involved students from Africa. The (UP) chief minister had also taken note of that (incident) after which it was decided to call a joint meeting of all universities and discuss the issue of maintaining peace on campuses. It was also discussed to maintain cordial relations with students from foreign countries as well as with those from the northeast and Kashmir," read the letter, which was seen by PTI. "Officials from Sharda University were also present in (that) meeting, in which the administration had issued directions to all institutes to ensure peaceful atmosphere and safety for all students. Still such incidents are being reported. 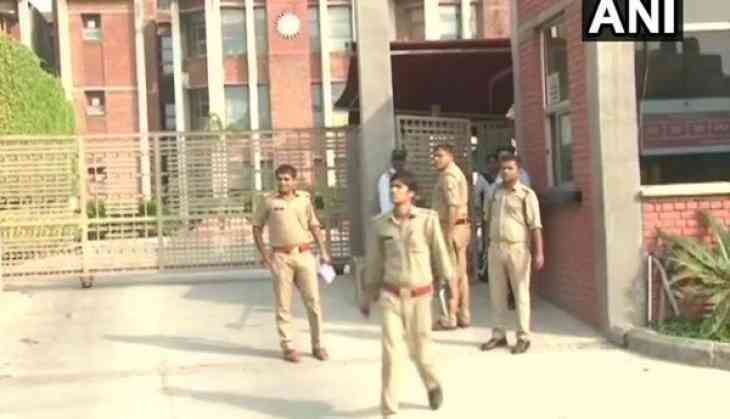 In view of the vice president's schedule visit to the university on October 28, it appears that the university management is not carrying out its responsibilities in the appropriate manner," Singh said in the letter, a copy of which was marked to the office of the state's chief minister, home minister, inspector general of police Meerut range, senior superintendent of police Gautam Buddh Nagar and the additional district magistrate. Such incidents have been reported in national as well as international institutions, Singh said, adding that the state government is committed to ensure peaceful atmosphere for all students -- foreign and locals alike. "Under what circumstances did these anti-social elements manage to enter the university and what steps did the university administration take to stop them? What steps has the university management taken since last year's incident to maintain peace and safety for all students (foreigners and locals including those from Kashmir and the northeast) and why these steps have not been effective," the letter asked. The university has been asked to submit its response to the ADM in a week's time.